By establishing the Diversity & Inclusion Committee, Ohio Swimming is demonstrating its commitment to creating a culture of inclusion and opportunity for people of diverse backgrounds, including, but not limited to, race, age, income, ethnicity, religion, gender, and sexual orientation. Diversity and Inclusion Brochure: click here for ideas on what you can do. USA Swimming Foundation Make a Splash Program - The USA Swimming Foundation raises funds to support programs that save lives and build champions in the pool and in life. Ohio Swimming is continuing our long-standing dedication to promoting diversity by hosting the 2018 Central Zone Diversity Camp & Summit from June 21-24 at Cleveland State University. 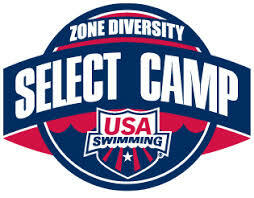 The Camp is for swimmers ages 13-15 years old who fit the diversity criteria outlined by USA Swimming. The cost will be $270 per swimmer that Ohio Swimming will cover. OSI plans to send four swimmers to the camp - 2 female and 2 male. Other LSC's will also send four athletes to the camp.